Everyone comes from someone and from someplace. Who are your parents? Who are their parents’ parents? What is your family’s heritage? What countries are your relatives from? Researching and finding about your ancestry can lead to interesting stories and histories connecting you and your current life with past lives and places. 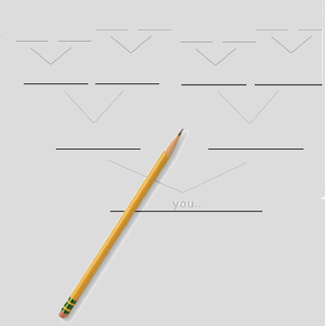 Making a family tree can help you reflect on your own life as well as see your family’s life in a broader perspective. Making a family tree connects us with other parts of the world as families moved, married and started their own families. Ask your parents what they have saved from their parents’ lives. What will you save from your grandparents’ time? From your parents’ time? From your own life? Genealogy is the study and tracing of family pedigrees. The US Census and the following links are good starting points. 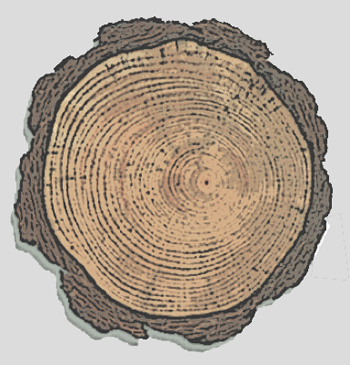 In this activity you will draw tree rings for each year of your life. Start with the center ring from the seed for your first year. As you draw each ring, label the year on the right side of your paper and list key events that happened that year, from the year you were born until now. This is a way of building your own personal family tree. Each year you can add events and happenings and memories that inform others who you are and who you can be. Collect small leaves. Cut a tree section with roots, a trunk, and main branches out of construction paper. One branch should be your father’s side of the family and one branch your mother’s side of the family. 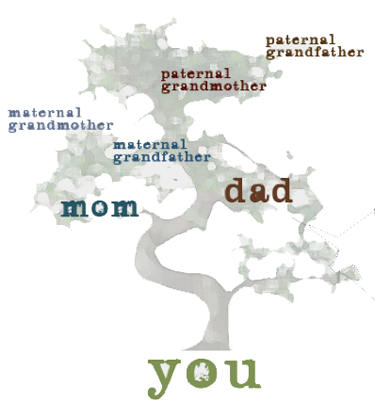 Label the secondary branches for your parents’ parents and your siblings. The branches will show the chain of your ancestry. Label the roots with the names of the cities or countries your relatives have lived. Try to include at least three generations. If you can, explore back even further! Ancestry means relations and relatives. Genealogy is the study of a family tree. A family tree tells who is related to whom. People have roots just like trees. A person's lineage can reveal information about his or her ethnic background.